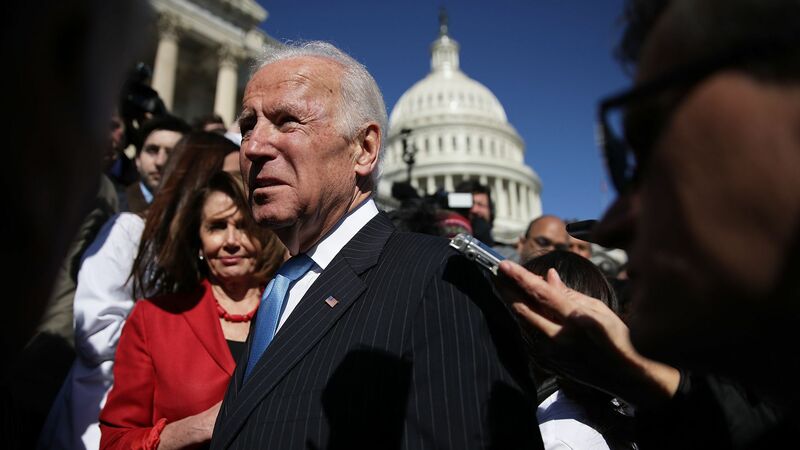 Former Vice President Joe Biden urged his party on Friday to reclaim the white working-class vote, and said the Democrats would lose 2020 unless they do so, the New York Times reports. The big picture: Axios Mike Allen reported this summer that a 2020 challenge from Biden makes Trump nervous, because of Biden's ties to the working class in Pennsylvania. While campaigning for congressional candidate Amy McGrath in rural Kentucky, Biden said that Trump's appeal to the working class is "an old, old method," that hones in on their frustrations "by finding a scapegoat, the 'other.'" Biden also said Trump is "trashing American values," and that he doesn't believe there's a divide among the white working-class on economic and progressive issues.